Kessler Park Eating House was the perfect South Dallas spot for July's Dallas Blogger Brunch. The atmosphere was casual and the food was delicious, making it a great place for a relaxed Saturday morning brunch. 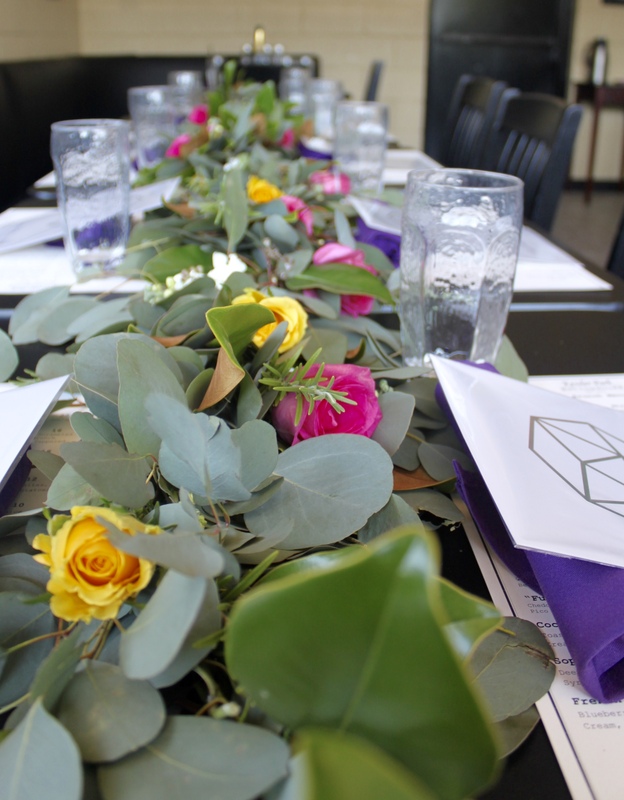 This festive floral garland was created by Blooms by Hannah and dressed up our table for brunch; floral garland is my favorite way to accentuate a long table! 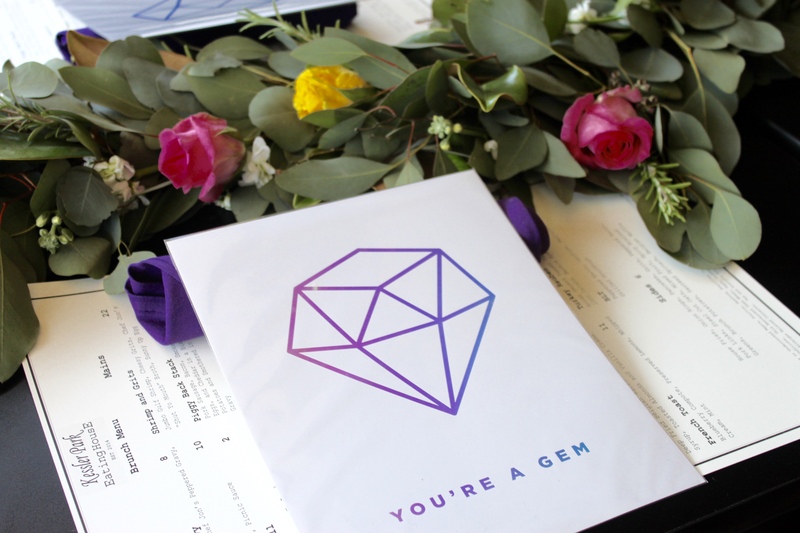 We also gifted each attendee with this eye-catching holographic print by Rachael Creative; "You're a Gem" prints at each place setting were a fun alternative to place cards this month. The Kessler Park Eating House brunch menu is full of gems like Fried Chicken and Waffles, Blueberry French Toast, Shrimp and Grits, and a Sopapilla Waffle! In keeping with my brunch tradition, I ordered the Blueberry French Toast and was not disappointed-look at this! It was amazing. After brunch, we decided to take a few photos outside and had some fun with our leftover floral garland table runner and they turned out so well! I love using leftover florals to add some interest to photos. Kessler Park Eating House is a little outside of my normal Dallas stomping grounds, but I'm so glad that I was able to try it. If you're looking for a low key brunch spot with an elevated menu and fast service, this is a great choice. Thank you to Kessler Park Eating House for hosting this month's Dallas Blogger Brunch!